February 2014 - Lochearn Summer Camp for Girls - Our Girls Sleepaway Camp Blog! 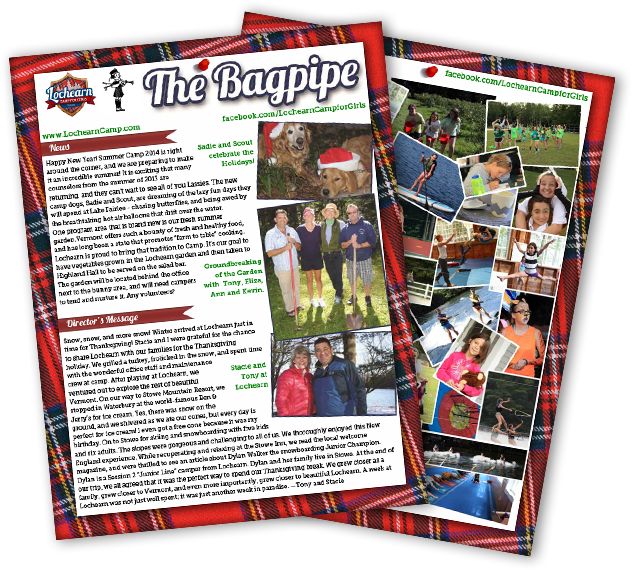 The Latest Edition of the Bagpipe is Out! Click here to enjoy the latest edition of the Lochearn Bagpipe! Learn more about Lindsey and Adair and a Lochearn Alumni who will be joining the staff as a parent liaison. Great photos and important dates. Enjoy! This entry was posted in Newsletter and tagged Best Summer Camp, Camp Lochearn, Sleepaway Summer Camp, Summer Camp For Girls, Summer Camp Jobs, Summer Camp Newsletter, Vermont Summer Camp on February 4, 2014 by Lochearn Admin.